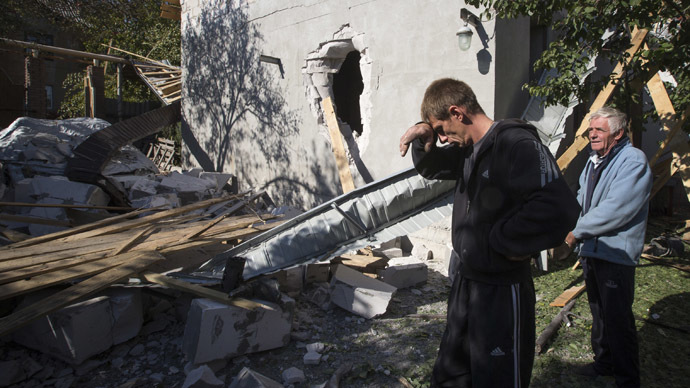 Amnesty International became the first major international human rights groups to address the claims of mass killings in the Ukrainian conflict. 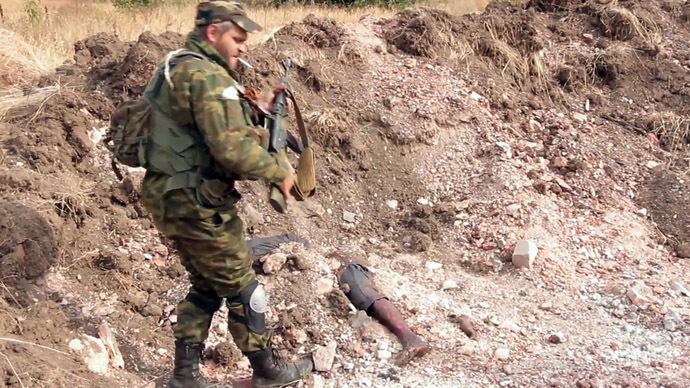 However, it says it only found evidence of isolated incidents of war crimes by both Kiev and the militia. Amnesty International performed its investigation into mass graves allegedly discovered in Ukraine’s south-eastern Donbass region in late August and late September, the organization said. The research only revealed evidence of “isolated incidents” of summary killings and other atrocities attributable to both sides, said John Dalhuisen, Europe and Central Asia Director at Amnesty International. “Amnesty International has not found or been presented with any compelling evidence of mass killings or graves. What we have seen are isolated incidents of summary executions that in some cases constitute war crimes. These abuses must stop. All suspected cases should be effectively investigated and those responsible from both sides prosecuted,” Dalhuisen said. “It’s difficult to get an accurate sense of the scale of these abuses. It is likely that many have not yet been exposed and that others have been deliberately misrecorded,” he added. 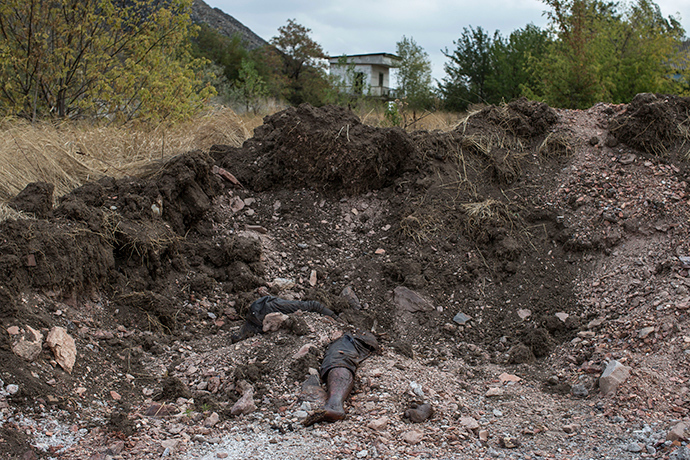 Several days after media reports appeared of mass graves discovered after the Kiev troops left the villages of Komunar and Nizhnya Krynka in the Donetsk Region, the Amnesty delegation arrived in the area, the report says. 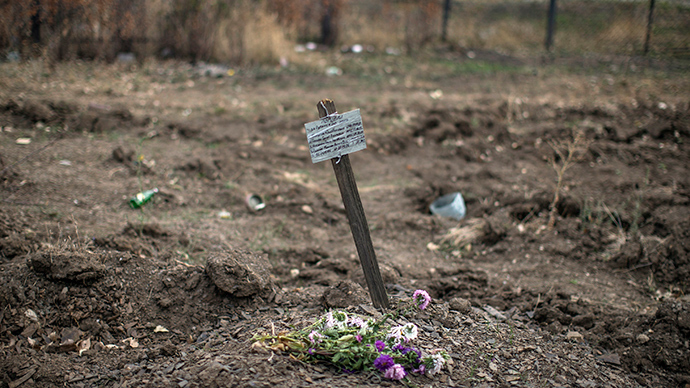 It adds that Amnesty International found strong evidence implicating Kiev forces in the alleged extrajudicial executions of four men buried in two graves near the village of Komunar. They also discovered the burial site of five bodies, belonging to militia fighters, who were allegedly killed during the hostilities, but not executed. As for the alleged crimes committed by the militias in Donetsk and Lugansk, human rights group says they have confirmed two cases of execution-style of killings of pro-Ukrainian activists and detained Kiev fighters. According to Amnesty International, the self-defense forces are responsible for the killing of Vladimir Rybak, an MP from Batkivshina (Fatherland) party, and Yury Popravko, a student from Kiev. 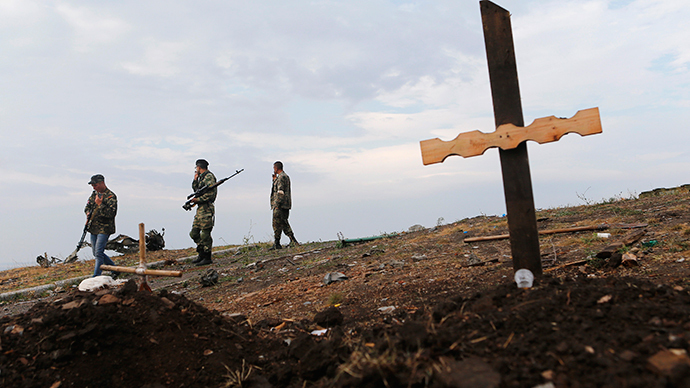 Their bodies, which showed signs of torture, were found near the town Raigorodok in Donetsk Region on April 19. 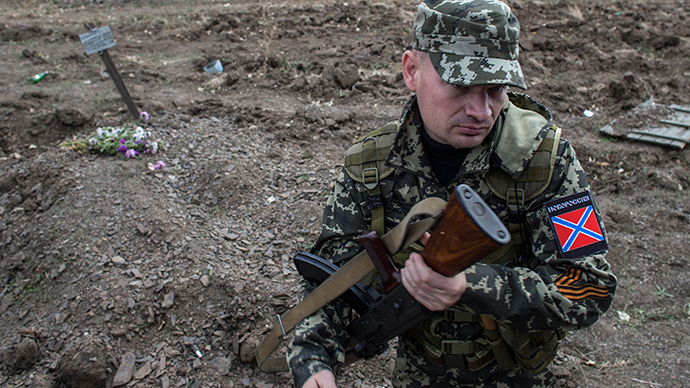 In another incident, two more men, who were held captive by the rebels in the town of Severodonetsk in Lugansk Region, were allegedly also executed. The human rights group’s findings in the area show that “some of the more shocking cases that have been reported, particularly by Russian media, have been hugely exaggerated,” Dalhuisen stated without elaborating. Instead, a statement on the organization’s website cited Russian foreign minister, Sergey Lavrov, as one of the examples of such exaggeration. On October 1, the Russian Foreign Minister said that over 400 bodies have been reportedly recovered from mass graves in Donetsk Region, calling on the international community to investigate the atrocities. 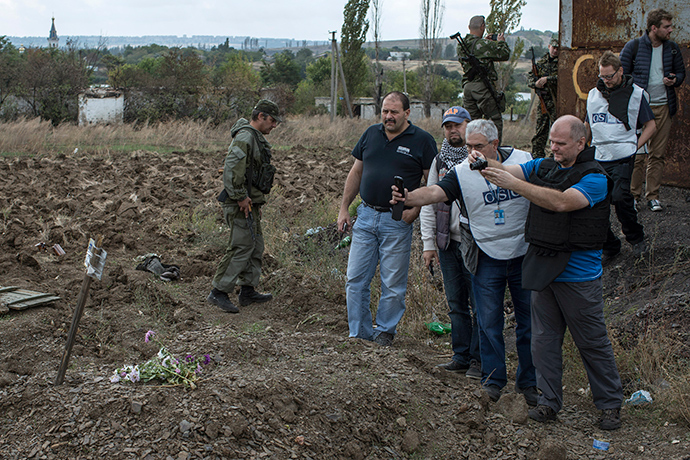 Lavrov, however, referred to the words of Latvian human rights activist, Einars Graudins, who visited the grave sites in the area together with the regular OSCE (Organization for Security and Co-operation in Europe) monitors. Previously, RT reached out to several international human rights organizations about their investigation into the found mass graves as well as other atrocities in Ukraine, including the Odessa massacre that saw almost 40 people killed in May, and the so-called Maidan sniper killings when over 100 people were killed by sniper fire in Kiev this February. “At this moment, we don’t have any factual information about the progress of these investigations, so it’s better not to comment,” the reply by the OSCE said. 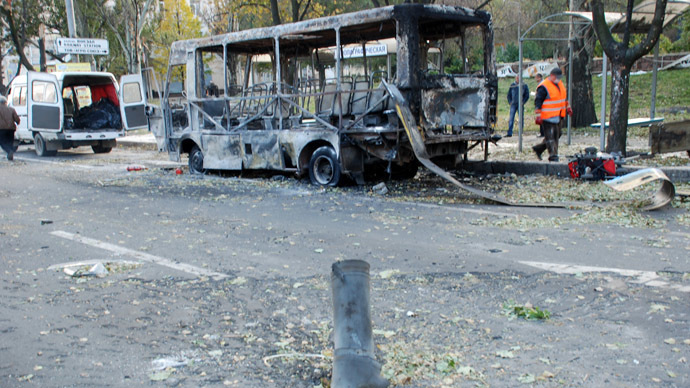 Ukraine has been engulfed in internal military conflict since April, when Kiev’s army began its crackdown on the southeast regions of the country after they refused to recognize the country’s new coup-imposed authorities. 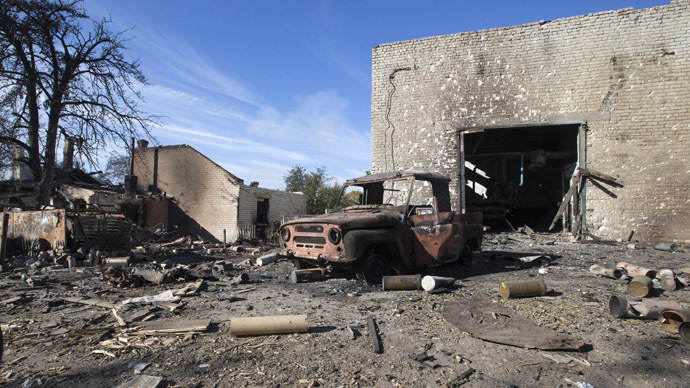 The United Nations said that the death toll in the Ukrainian conflict has exceeded 3,700 people, with over 9,000 others being wounded. The number of internally displaced Ukrainians has reached 842,000, with over a half of them finding refuge in Russia, the UN said. The warring sides agreed a ceasefire during talks in Minsk, Belarus on September 5, but there is still a long way to go for the conflict to be settled.